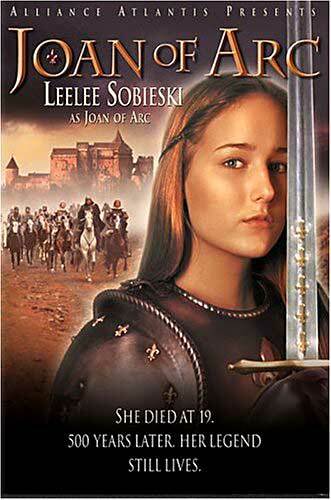 Leelee Sobieski shines in this 1999 made for tv movie with poor historical accuracy. The overall history is not the problem because the movie does correctly tell the story of a young woman who hears Voices from God and leads her people to freedom through military victory and is then captured by the enemy, put on trial and burned. The problem is in the details because in virtually every scene there are blatant errors ranging from having Joan first hear Voices in a church (it was actually her father's garden) to what is the worst for me in showing Pierre Cauchon as the advisor to Charles VII in the French court. Movie trailer for Joan of Arc movie with Lee Lee Sobieski. Tribute video for Joan of Arc movie with Lee Lee Sobieski.